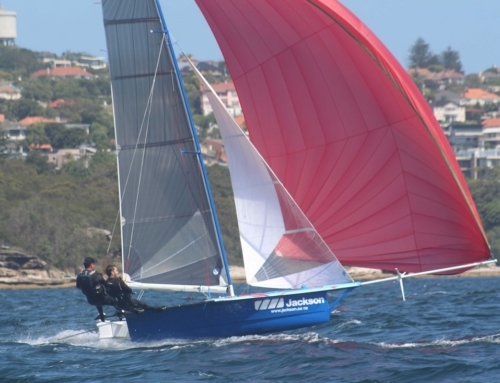 Five boats made it across the ditch for the 57th 12ft skiff interdominion championship held in Brisbane at the Darling Point Flying Squadron. The team was Tim Bartlett & Matt Hix on Frankinskiff, Graham Laurie & James Fleet on 12 Gauge, Paul Mackintosh & Jono Clough on Monkey Wrench, Thomas Olds & Dan Pooley on Mr Scruff and James de Lisle & Stu Williams on Mistress. There was lots of close racing throughout the regatta. The biggest decision each day was to decide what rig to put in. On day one the fleet was split with a mixture of 2nd and 3rd rigs, on the day the 2nd rigged boats moved towards the front of the fleet as the anticipated building breeze never came in, leaving the 3rd rigged boats struggling in the lighter breeze. Monkey Wrench led the charge for the underall miners trophy with a square twin string mine at the first top mark, sticking it in so hard the prod went into the seabed to take a core sample of mud and shell. On day 3 everyone had their big rigs in and by the time the third lap of the race came around the breeze was 15-18kts and everyone had a bit on to get round the course. Mr Scruff mined after the race so hard and also got stuck in the mud in a vertical position and the crew had to climb up the boom to pull it over, they won the miners for the day. Most of the days were similar. Being hot with a light breeze in the morning and an expected build in breeze around 2pm (races started at 1.30pm). One trick to avoid getting too hot and flustered when rigging up, was to change into your sailing gear and have a cold shower before rigging, then another shower before going out on the water. On day 6 Frankinskiff put it all on the line and put in the big rig, whilst most of the fleet went with 2nd rigs. They sailed an awesome race to get a 2nd. However for the second race the breeze had built and they dropped back in the second race. On the final day of racing the fleet was mixed with 3rd/4th rigs. With a 20kt wind against tide creating a short chop with 12ft holes in it, made it a challenging course especially downwind for the final race. 12 Gauge was excelling in the breezy conditions sailing their best race, only to throw it away on the last downwind to the finish with a spectacular capsize 100m from the finish. Mistress made a last dash for the miners trophy with a twin string mine with the kite up across the finish line. 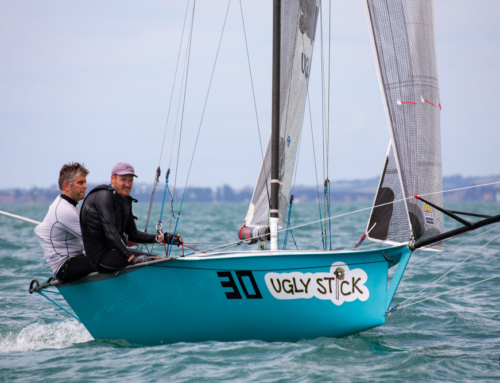 Nick Press & Andrew Hay on Sydney Sailmakers took out the contest after finishing on equal points with Brett Hobson & Billy on Geotherm, with the tie broken by counting every race with no drops (after they could not be broken by counting 1sts, 2nds etc with 2 drops). AUS won the teams trophy. Mistress had done enough to take out the underall trophy and bring Freddie back to NZ. Mr Scruff also sailed well in the last race to make up 10 points on first and take out the Handicap trophy. All of the team was billeted by the local Brisbane sailors and a huge thank you to them, it was much appreciated. 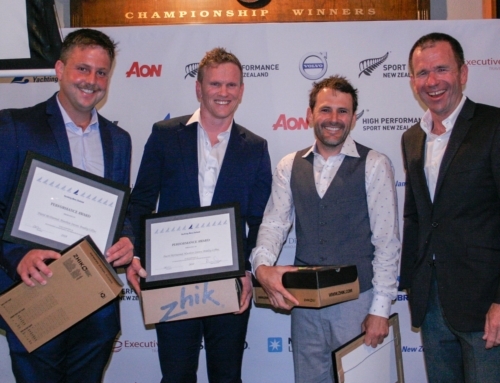 The next interdominons will be in Auckland round the beginning of Janurary, it should be a good year of sailing coming up with plenty of fizz.